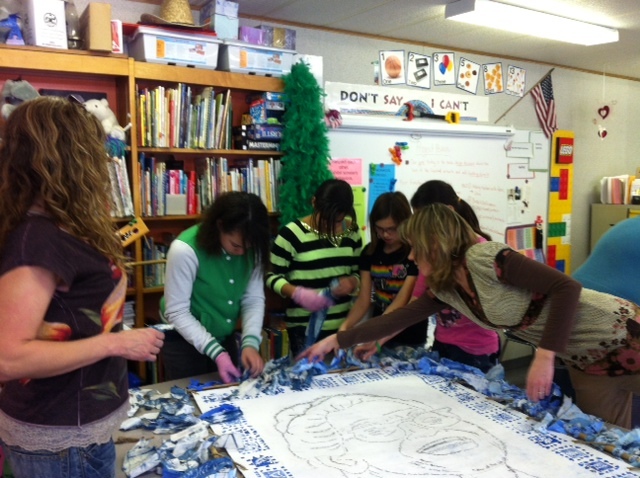 Final Art Session for Project Peace: Unveiling for Students Thursday March 21st! 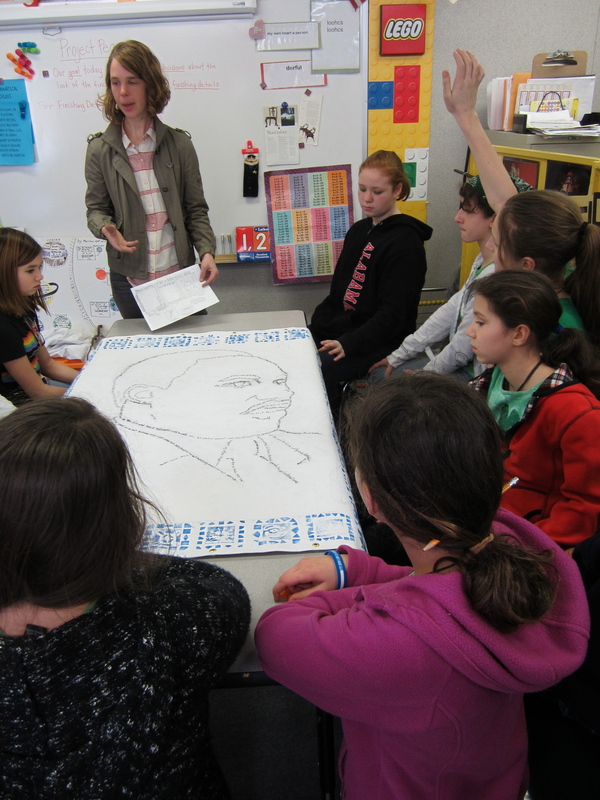 One last after school session with sixth grade students and the help of additional community artist volunteers resulted in a great amount of progress toward the finished hero/peacemaker portraits. Thanks everyone! 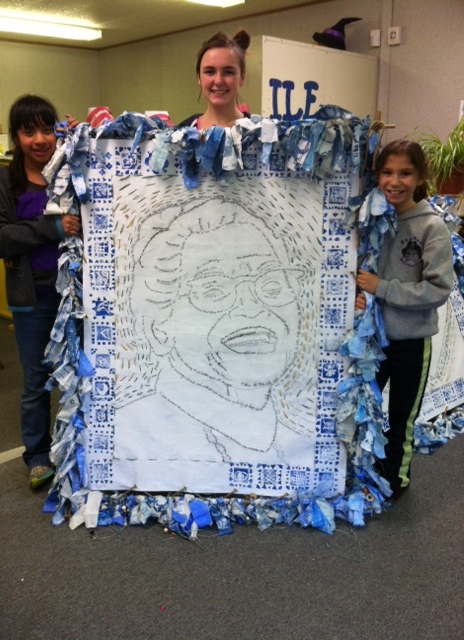 Mrs. Paul and Mrs. Housh will add the final details such as a skin tone acrylic wash and a bit more stitching. 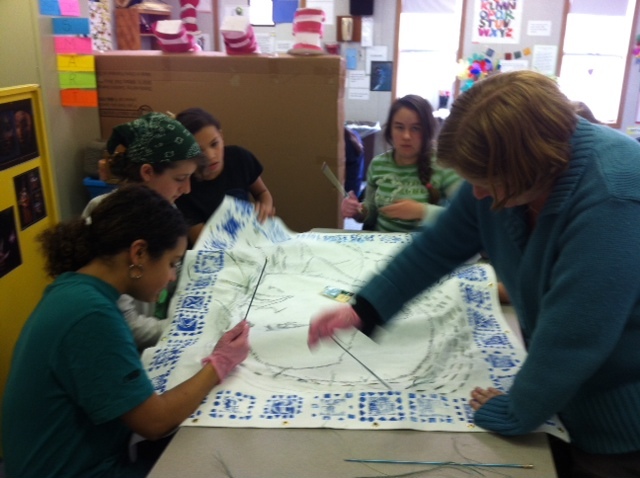 We can’t wait for the unveiling of the artwork and the opportunity to celebrate Project Peace with all of you! 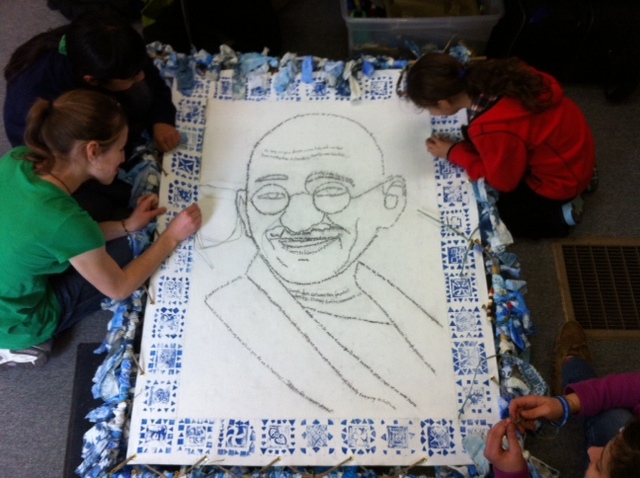 We’ll share the final artwork and reflect on Project Peace at a school assembly on Thursday March 21st. Then on Sunday March 24th 2-4pm, we’ll share Project Peace with the community at the opening reception at Antioch University Midwest. 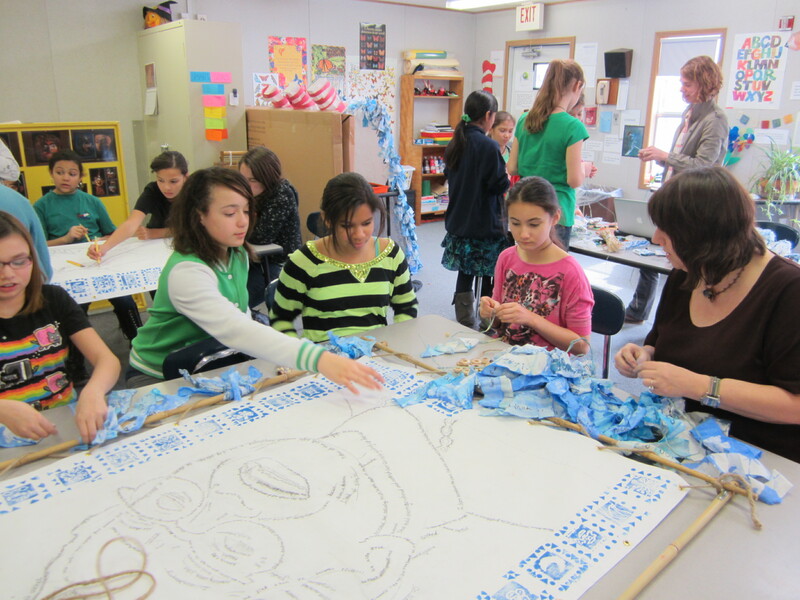 We hope you can join us to celebrate Project Peace!